There is nothing worse than Texas in July. Heat indexes of 100 plus, the only breeze is from passing traffic on the highway and any rain we get comes complete with sound effects and a fireworks show that rivals the most professional pyrotechnic presentation. Wait; there is one thing worse…August in Texas. More of the same with humidity so high it is like going into a sauna just getting to your car. Just like Mother Nature, we need to turn up the heat in our writing. Not only do we have to create characters the reader will love and identify with, we have to increase the risk, raise the stakes and make it matter more for our characters. My favorite movie to show this raising of the stakes is Dante’s Peak. Especially the last half. The volcano is about to erupt, ash is falling like snow in a blizzard and the town mayor’s kids have taken the truck and gone up the mountain to bring stubborn grandma to safety. Personally, I was with mom, if she doesn’t want to come down…then stay up there and get lavafied. But now, mom and our manly hero Harry, “have” to go up the mountain also. We see them headed up the mountain ash falling so thick they can hardly see. A helicopter crashes right in front of them; rock slides threaten to knock them off the road. Trees are falling left and right. They barely make it through a rock and tree slide that blocks the road behind them. Grandma is upset, mom is upset and the road behind them is blocked, what will they do now? A moment later, lava starts pouring down the mountain and into the back of her house. They run out the front door, lava flows around the trucks so they run to the boat that just happens to be there. Whew!!! Motoring down the lake to safety, they notice the dead fish. Seems the lake has turned to acid and has started to eat the metal boat. Talk about turning up the heat. Here they are, in the middle of a lake of acid, surrounded by dead fish…in a leaking boat. What could be worse than this? Again, the writer turns the heat up another notch. The propeller on the boat motor has been eaten away and no longer is useful. And to make matters worse, the water in the boat is rising fast. Grandma saves the day by jumping into the lake and towing the boat to safety. As they run down the dock to land, it crumbles beneath their feet but they do make it to shore. Naturally, she dies before they reach the ranger station and another truck. Eventually, they make it to town and the safety of a mineshaft. As they settle in to rest Harry realizes he forgot to turn on the NASA GPS device that will tell the world that they are alive in this mineshaft. Returning to the truck, Harry is injured in a tunnel collapse but manages to get to the truck. Climbing through the broken windshield, the tunnel collapses more, crushing the top of the truck. Finally, he is in the truck, broken arm and all. What else could go wrong? The roof is creaking and groaning and sinking lower and the GPS, won’t turn on. Eventually, he gets the GPS turned on and they are rescued. Our characters need to be challenged also. The reader needs to care about what happens to our hero or heroine. If they don’t, the reader won’t finish the book. When you are writing, think about what could happen next. What would be the one thing that would turn up the heat in your story and increase the risk or raise the stakes for your main character? Then, let it happen. Let your character be tested and have to struggle. Put him/her in a situation that causes them to grow and change, to test their limits and moral fiber. One help I’ve discovered in doing this is Donald Maass' book Writing the Breakout Novel and the workbook that goes with it. The workbook has writing exercises designed to deepen our characters, enrich the plot and make your writing stand out from the crowd. Not only does this work for novels but I have found it to be great help in short stories. These techniques work in all genres; mystery, romance, SF. Give it a look over. I highly recommend both of them. Many times the first sentence or paragraph is the deciding factor between a sale or a rejection letter. Editors are very busy and if you don't grab them right from the start, more than likely a rejection letter will be coming your way. After all, if you can't get the editor's attention, how is your story going to catch the attention of the readers? The start of your story or article is called the hook...and that is just what it has to do. Hook the reader and drag her into the story. It does this by causing the reader to ask questions and continue to read until those questions are answered. That's a pretty big job for just a sentence or paragraph so let's look at what it takes to make a good hook. Many times a hook starts with action. Whether waking up on a runaway train or finding that dead body we are left with questions. What is our character doing on the train, why is the train out of control, where is train going? Or who is the body, who killed the person, who is the person who found the body....and just what happened to begin with? A great hook leaves us wanting more. Other hooks start with the character doing something interesting. The character is one of the things remembered most about stories. Making the reader care about your character is a sure way to draw them into the story. Give the character a problem to solve, a seeming impossible goal or unusual dilemma and readers will stay around to cheer. Catchy dialogue is another way to grab attention. Why is your character yelling "freeze" or begging the old lady to take care of her baby? Once again, the reader wants to know and this will draw them into the story. The best hook in my opinion is a combination of these. Here is an example. He’s coming...go faster. Carly checked the rearview mirror, gave the aging Caviler more gas. The engine coughed, hesitated then settled into a smooth hum. The car skidded around the curve then straightened out. She checked the rearview mirror again and fastened her seatbelt. “I’ll be gone for Christmas.” she sang along with the radio. Headlights approached from behind, she held her breath, clenched the steering wheel. Please don’t let it be him. The car turned off leaving her in darkness. She sighed and wiped her palms on the jacket in the next seat. Gotta go, gotta go she repeated in time with the windshield wipers. She brushed a strand of hair back from her eyes and flinched. Carly flipped down visor, opened the mirror and gazed at the reflection of a stranger. We have dialogue in the form of thought. Who is coming? Why is he coming? Where is he coming from and where is she going? These are just a few of the questions we can come up with. We also have action. The car skids around a curve, headlights approach from behind, the windshield wipers are doing their job. But what is causing our character to drive in this manner? Now, our character. We can tell right away she is probably afraid. She has an interesting sense of humor since even in a trying time she sings along with the radio. As she repeats the phrase 'gotta go' we see she is obsessed with putting some distance between her and whoever or whatever she left behind. Again, we are left with more why questions we want the answer to. When she flinches after brushing her hair back we wonder why. How did she get hurt...we start to care about her. And that keeps us reading to see what happens. And that is exactly what a hook is supposed to do. Now for your homework. Grab your favorite book off the shelf and check out its hook. When you are at the bookstore, spend a few minutes browsing and check out the hooks. Consider the opening line and paragraph. Do they make you want to read further? Study them, make some notes, see what works and what doesn't. A great hook won't guarantee an acceptance letter but it sure cuts down on your chances of receiving the dreaded rejection one. WOW: Renise, congratulatory hugs to you for placing as one of our Runners Up! How do you feel? Renise: I’m still getting over the shock of having my first flash fiction story published. I love going to the WOW! site and seeing my work alongside women whose writing I truly respect-- it’s a very humbling experience. WOW: Thanks for the compliment. We're glad it's a positive shock. Could you tell us a little about your story and what encouraged the idea behind “Thanks for Ruining My Dinner”? Was there anything from real life that played a part in your story’s creation? Renise: The title was inspired by my Mom who never hesitates to speak her mind. When I give her news she doesn’t agree with, especially news about a new boyfriend or other interest, she adamantly states “thanks for ruining my dinner.” I’ve yet to figure out how serious she really is about this proclamation. WOW (laughs): Maybe after she reads this interview, she’ll give you an answer! Could you tell us a little about yourself and what fascinates you? Renise: I am fascinated by human experiences of all sorts and find people watching to be the best way to pass time as a result. My most memorable experience observing others came when I was studying the Negritude literature movement in Paris. I was unfamiliar with the language so the only connection I had to those around me was to observe their mannerisms and try to connect on the most basic levels. WOW: That does sound enlightening, even on those basic levels. Have you found enlightenment or inspiration from other books or authors you could recommend? Renise: Recently, Steven Pressfield’s War of Art has had the biggest impact on me, but I’ve fallen in love with the powerful African American characters of Pearl Cleage; the life she breathes into her characters is immaculate. WOW: Yes, I think it’s fair to say that many readers have fallen in love with her work. In fact, one of her books, What Looks Like Crazy On An Ordinary Day was an Oprah Book Club pick and it also spent nine weeks on The New York Times bestseller list. She surely meets her goals. What about you, do you have any specific long-term goals for your writing career? Renise: My long term goal is to open a publishing house for African American writers telling the stories of people and places that would otherwise go unheard of. In the meantime I am focused on building Young Savvy, a lifestyle redesign company devoted to motivating young adults to create the life they dream of living in spite of resistance and barriers. WOW: That’s a goal worth sweating over. Could you share other goals related to your writing? Out of the other works you’ve written, could you describe your favorite one or more in a little detail? Renise: Unlike “Thanks For Ruining My Dinner,” I write a lot of serious stories based on my life. Although it’s very emotional, I’m currently developing a piece dedicated to my Granny who recently passed from Carcinoid Cancer. I want people to read it and recognize the value in taking a break from their daily grind when personal tragedy hits. WOW: That’s a valuable point to make. Sharing something so personal always benefits others. You’ve already answered my next question about the areas or genres in which you prefer to write. Do you want to add anything here? Renise: Like many writers, I started out simply writing in my journal. Removed from the pains of judgment my journal has always been a sacred space for creation, release, and meditation so that is the kind of writing that will always remain dearest to my heart. WOW: How true. A writer’s journal is sacred. Sometimes, when I’m lacking motivation, I reread certain parts in mine. It usually helps me get moving again. Could you end on some motivating words for our audience? Renise: Too often people get stuck thinking that they want to become a writer. If you write then you are already a writer, you just need to let the world know and continue perfecting your craft. Well, there you have it, ladies, another success story. Go check out Young Savvy! I just checked--she has a new site! I consider myself fortunate. Writer’s block hasn’t hit me over the head yet. But I’m guilty of inflicting something equally as harmful to my writing. On weekends, when I have free time to write, I can find many reasons to avoid it, especially during the summer months. Even without summer as an excuse, avoidance comes with the territory of being too busy. But isn’t everyone busy these days? Is this a legitimate reason or is it a form of sabotage? Between work and family, I can always find a reason to keep moving my stories and manuscripts to the bottom of my latest projects pile. It’s easy; I just lift them up and place them beneath everything else. Out of sight and forgotten, until I work my way through everything and get caught up. But that’s not all. When I’m feeling particularly tired, distracted, or frustrated, I add other “projects” to the stack--the kind that can’t fit into an inbox or file folder or to-do lists. This is where my self-sabotage begins, and it’s what every writer should not do. #10: I need more coffee, and I need to have it with a friend or two. What could be better than sharing coffee (or any beverage) with a friend? It’s purely delightful, sipping and speaking, speaking and sipping. I catch up with my friends’ lives, their kids, and all their stories. Pretty soon two hours goes by and, it’s always fun, but in the end I realize I’ve neither written a single word or thought. I’ve enjoyment talking so much that I’ve avoided thinking about any of my writing projects. #9: My furniture, floors, mirrors, and toilets need me. I’ll just clean everything really quickly, especially since it’s been months since the last time. Cleaning my house will clear my mind, and it will enable me to start fresh. Without the burden of dirt around me, I’ll be able to create a manuscript that will put even a famous author like J.K. Rowling to shame. #8: My Netflix queue is empty; I need to fix that. The weekend is approaching at warp speed. I’ll just sit down at the computer, log into my account, and peruse the 568 recommended movies on my list. There has to be one, two, or even three that I can add quickly. That way I’ll be able to write for the next three weeks straight, because I won’t need to add to the queue for that long. That’ll be the best possible mind-stimulating manuscript preparation yet. #7: I need to trim my cuticles and my fingernails, right now. Since I need to tackle good grooming issues, so should my kids. I’ll tell them they need to take care of this right away. When they’re done, we’ll have to play a game together, something that uses the fingers; we must show off our gorgeous grooming skills. #6: Scented candles would help me write and think in a more relaxed state. How many do I have? What scents are they? Vanilla and mulberry--not enough. I need more than that to finish an entire story for Highlights magazine. Hmmm. But a long, hot bath would complete the desired Zen atmosphere. Maybe I should take a notepad and pen with me, close the door, and focus. No, no, actually, I’ll just close my eyes, rest my mind, and write later, when I’m clean, relaxed, fresh. #5: I need to check my email; its constant dinging sound is annoying. No wonder it’s been dinging, I have 200 emails. But if I start now, I can knock these off in an hour. That’s not very long. I’ll just sift through to the important ones, and I’ll leave some for later on. #4: The Saturday mail is here--I’ll go check for good news regarding my last query. Oh, my gosh. Would you look at that? Talk about timing! The Oriental Trading Company’s latest catalog is here, and my kids need crafts. An hour is all it will take for me to find some new things to do. My kids will love these crafts, and so will I. As soon as the box of new crafts arrives, I’ll write for hours while my kids create something especially artsy-fartsy. #3: I need to exercise; I’m a walking knot. The coffee wired me up; the house cleaning tired me out; the Netflix queue took up time; grooming with my kids and playing a game made me hungry…I just need to do something for me. My heart doesn’t feel right. It needs to pump harder. #2: I haven’t eaten in hours--I need a meal, and I need it now. Maybe I should ask my friend to go out to lunch with me? I don’t really want to dine alone. Plus, I might find new ideas for my latest story’s dialogue while I’m listening to the din of casual conversation in the restaurant. #1: But the most important item I have to accomplish--I must write or read a blog. Yes, yes. I must do this. Blogging is good for the writer’s soul. (?!) Somehow, some day and some way, my blogs will work their way into my story. It doesn’t matter that they are totally unrelated to what I write. Huh? What am I doing? Now, I need to go squeeze in time to write. The weekend is nearly over. I could have drafted out ten stories in the time that I spent doing all these other things. Sigh. I’m guilty of writer’s self-sabotage. I should go into the kitchen and find my hidden stash of emergency chocolate. I need to feel better. One of WOW!’s Winter Flash Fiction Contest Winners Danette Haworth wrote in about a topic that is important to women writers, now more than ever—blogging and website optimization. Since website marketing is one of my favorite topics, I’ve decided to dedicate a few of the following Sundays to women writers looking to promote their website and/or blog and receive their well-deserved recognition! This topic can take thousands of words to completely cover, so I’ll take on one topic at a time. This is Part 1: An Introduction. “Weeks ago, I submitted my URL to Google, Yahoo, MSN, and Technorati, yet search results do not list my blog or my name. (My name appears in entries for other sites (like WOW! ), but not for my own blog. I know this can be extremely frustrating for a writer who wants to get her work out there, and I had to learn the hard way. When we first started WOW! Women On Writing, I’d spent most of my time perfecting the graphics for the website, getting the layout down, articles/interviews written, but I didn’t even think, or know, anything about SEO. Needless to say, when we launched that first day in September 2006, it truly felt like a let-down. We had this great content, a fabulous assortment of interviews from well-established authors, and we even garnered an interview with the senior editor of Writer’s Market at the time, Kathryn Brogan. We were perplexed to see that our traffic wasn’t peaking, nor had inclusion of any of the search engines! It felt like speaking to an empty theater. There was basically no one visiting our site. The learning curve started there before I even knew what to expect. I don’t like to fail—no one does—but I like to GO BIG!! So I quickly learned how to work with that magical voodoo called SEO and website marketing. Side Note: Here’s a little rah-rah cheer for women writers: today, WOW! Women On Writing’s traffic has surpassed Writer’s Market and Writer’s Digest (to name a few), according to the worldwide web statistics at Alexa.com. We’re very proud, and that’s super news for women writers! 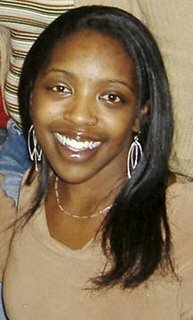 Let’s start with what Danette wrote: She submitted her URL to Google, Yahoo, and MSN. For starters, the three search engines you mentioned can take six-weeks or more to have your URL show up and indexed. I still notice that to this day. We put up a new issue of WOW! and the articles are nowhere to be found in the search engines for a couple weeks. Our blog posts show up the same day though, but blogs are extremely search-engine friendly once you get them going. For website owners though, there are several things you can do. Of course, we’re assuming you have killer content. After all, you’re writers right? So lets skip that part for now. We’ll get to that later. Most websites come with a tool that lets you automatically submit your site to search engines. Or you can use a third party site to do this—there are tons of them out there. I’ve tried several and they all work about the same. For a minimal fee (usually $5-10 a month) you can take out the guesswork and have your website submitted to over 100 search engines across the web. And yes, there are hundreds, actually thousands, of search engines! Just do a simple search on “Submit your website”. If your budget is tight, and you have time, you can always submit them by hand for free. Here’s a list of free submission sites: http://www.sitepronews.com/free-submission.html. This website, Site Pro News has a bunch of articles on the topic if you’re interested in diving in head first! If you’re going to be submitting your URL, you should have a relevant title and description with key words used in your content. This is a whole other topic. Do you have a Google Search widget on your site? Sign up for Google Co-op ( http://www.google.com/coop/ ) and create your own search engine. Here’s ours: WOW! Women On Writing Search Engine. If you have content-heavy pages like we do and you want them to be noticed immediately, I add each page into our search engine so Google is forced to search that page. I’ve never actually heard of this as an SEO tip or trick, but just thought it might work and it does! Pretty sneaky sis! So you have a blog, doesn’t everyone these days? That’s one of the problems. How do you make yours stand out and get major traffic? Optimizing a blog is different than a website, that’s why I’ll have to do this full article in separate parts to give you the full info. So, today I’m going to talk about blogs since that’s what Danette originally asked. The blog is run off a different platform than a website, since most blogs are standard platforms which are usually hosted by someone else’s URL. Check the end part of your URL, if it ends in .blogspot.com then you’re not hosting it. If you look up at ours, we have our own host, meaning that the URL is unique and we can record our traffic and actually see in real-time how many people are visiting each page of our blog. One of the problems with having your blog hosted by Blogger or something else is you’re basically in what we writers call “the slush pile.” But that’s not to say that you can’t pump up your traffic even with a standard cookie-cutter template. It may take you extra work though. But let’s assume that you want to be the best, GO BIG, and create a stir in the blogging world. By following these tips, you have the ability to do just that. Give Your Template a Makeover! Aren’t you tired of seeing the out-of-the-box templates that everyone has? If you are serious about this, hire a designer and give your blog that original look. But if you don’t have the money, try and customize the standard template with your own logo and color scheme. Do what you can to make it unique. These days every blog comes with an RSS feed, so use it. Make the most of it by adding a custom signature. If you don’t know how to access your RSS feed, or your blog doesn’t provide one, burn your own! Go to: http://www.feedburner.com. Decide whether you want to offer Full or Partial feeds. But one thing to remember is to avoid ugly button overload! Don’t you get sick of seeing a blog with a whole bunch of buttons and widgets all over the place? This also slows down the load time. Remember you only have less than 30 seconds to capture your reader. Be spare, but make those buttons and widgets count. Remember when you start your blog, it should have one main theme or topic in general. Focusing on one area will definitely help your blog have its own niche audience. Being too general won’t keep the readers coming back. I know what you’re thinking, our blog, The Muffin, has a plethora of topics, but they’re all geared toward women writers. Your topic doesn’t have to have a narrow focus, but you should consider your audience and who your blog is catering to. Is it about fashion? Art? Motorcycling? Okay, I know it’s none of the above, but if it’s about your journey as a writer, or a promotion for your forthcoming book, then tailor it toward that. Make one blog for your journey as a writer, and the other for your book. Keep the topics separate to create unique content. Try and keep your entries short, yet detailed. Write for your readers and for search engines. This is possible! I prefer writing for readers, but you can do both. Just make sure the key words you use are relevant to your content. Use relevant titles and tags. Make your titles leave the reader wanting more, because that’s what is going to show up on search engines. Don’t just say, “Welcome to my blog!” Think of it like you do the first sentence in your short story or article—hook that reader, reel them in. Check your spelling. Use nice readable fonts in a standard size. Create unique stories. Other bloggers will be more likely to link to your blog if you have a story that sizzles. They may even quote it in their own blog with a link and create a viral effect. Also consider the importance of links. For instance, in Danette’s case, it’s better to link to her blog like this: Danette Haworth’s Blog, than http://www.danettehaworth.blogspot.com. Why? Because link names hold more value than simple URLs. People can list a whole bunch of URLs, but if it’s associated with a key word or phrase, search engines are more likely to pick up on it. Buy your own domain name and host your blog under that site. Of course, our blog doesn’t have all the cool widgets that blogger-hosted blogs have, but if you want to increase your traffic ranking this is a great way to do it. For instance, we have a Blogger blog, but it’s an FTP blog. This means that when we post we get that dreaded spinner that old-school Bloggers may remember, but you know why it’s worth it? Every time we upload a new blog post that counts as traffic to our website domain name. It’s like a unique visitor is checking out your site and uploading content. Bonus on traffic ranking! Shhh... don’t tell anyone. Okay, as you can see this topic is endless. Things are changing all the time, so I’m going to dedicate Sundays to helping women writers pump up their websites and/or blogs. Stay tuned! These were just some of the basics, more to come next week. Okay, I don’t know whether it stems from my being stuck inside with my kids too much the last week or if it’s more due to writer’s block but my toddlers taught me some valuable writing tips. Let’s start with their complete inhibition in expressing their emotions. Toddlers belly laugh until they get hiccups, weep shamelessly when they’re upset and, Oh BOY, can they express anger. And they do so with no worries as to how people will perceive them. As writers, we should be willing to make ourselves vulnerable so we can honestly express our emotions in our words. Which brings me to my second observation. Because toddlers are so open with their feelings, they are pros in eliciting those emotions in other people. I challenge anyone not to at least crack a smile when babies or children are laughing. Don’t you feel those heart-strings tugging when they cry? And, I don’t know about you, but I sure feel slightly miffed when a tantrum goes on a bit too long. As writers, if we aren’t able to express feelings (whether fiction or nonfiction) we certainly can’t inspire our readers to share our writing experience to the fullest extent. Finally, and the strongest characteristic toddlers have, they seem to have no problem saying whatever is on their minds (even if it is in a crowded elevator). If they have a question, they ask it and they continue to ask until they find the answer they seek. If they have an opinion on something, they give it freely. If they feel something is important enough to talk about, they talk. As writers we too should be able to use our talent with words to ask and find questions, give our opinions or discuss important issues without fear. Now, obviously, we would use a lot more decorum in our work. I think calling an editor or publisher a “stupidhead” because they reject our work; or flopping down on our backs then flailing our arms and legs around until our faces turn red to be heard may end that writing career pronto. But being in-tuned with our emotions, using our beautiful words to elicit emotions in others and saying what is on our minds (in a tactful way) are awesome tools of our trade to remember. There you go…from my house to yours. When I did some research on author Dr. Barbara Holstein for the blog, I came across an excerpt from her latest book I just had to share it with you. I hope you enjoy it as much as I did. After the excerpt is a short interview with Barbara. I want to encourage you to check out her blog and get to know here work. I hate Gloria. Her teeth are too straight. She won’t need braces. That isn’t fair! Also, her thighs are slimmer than mine and don’t have little puckers on them. I hate my puckers. At the beach my mom told me to just hold my stomach in and no one will notice my legs. But that is NOT the truth!The truth is Gloria has nicer legs than I do, and she knows it. In dance class she does turns really easily. Who wouldn’t with those legs? I guess she will grow up to be a great dancer and I won’t. I think I’ll trip her accidentally when she walks by my desk. Today, when I came out of the shower, I lifted my arm in front of the mirror as I was drying myself, and I had three dark hairs growing from my right armpit! I can’t believe it. It is beginning. Good news: nothing in the other armpit yet. WOW: Welcome to the WOW! blog. Let's start with a little bit about yourself. I am a Positive Psychologist in private practice in New Jersey. I wrote my first book ten years ago, THE ENCHANTED SELF, A Positive Therapy, which is a pathfinder book in the field of positive psychology, particularly for women. My discovery of what I call THE ENCHANTED SELF(R) has been a driving force in my life every since. The Enchanted Self is a person's capacity to regenerate again and again happiness, purpose and meaning in life, by learning how to utilize her own strengths, talents, coping skills and potential in ways that are uniquely right for her. It involves learning how to sift through our memories and our past to discover what we have enjoyed and also what is right about ourselves, rather than what is wrong. You can find out all about The Enchanted Self at my website, www.enchantedself.com and also download a free paper for women on THE SEVEN GATEWAYS TO HAPPINESS. WOW: You wrote your first book ten years ago but how long have you been a writer? I guess I have been a writer since I was nine. That was when I received my first Girl Scout Diary that I kept faithfully, although 3 days late always, for three years. WOW: How cool. I never could keep a diary. What do your family/friends think about your writing? My friends are very supportive. My mother is very supportive and so was my father who was thrilled when my first book came out. 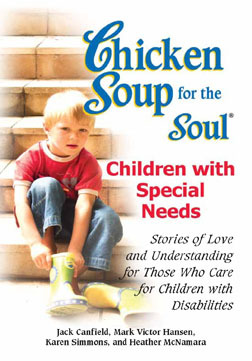 I think I inspired my mother, Bernice Becker, to finally get her stories together and with my help she published her first book three years ago, FEEL GOOD STORIES which you can find on my website . These stories go from the day she was born until living in a retirement community and being in a talent pageant at 80. WOW: Seeing your mom publish must have been very rewarding. But what about your own writing, what is most frustrating, most rewarding? The most frustrating thing is how to get my work out there so people actually read it. For example, with my first book, I would like it to be used more often as a supplemental text for training therapists and counselors. Like most authors I thrive on a sense that my work is helpful and generates thought, new ideas, etc. The most rewarding part is when someone does read the book and writes or calls me. For example, when I heard from a psychiatrist in Sweden that my book put into words the correction in mental health care that she had been dreaming of, I felt wonderful. And she found my book in England! What a wonderful adventure in travel-even for my book. WOW: I know you have a very busy schedule. Do you read much? What kinds of books inspire you to write – if any? Favorite authors? I read some novels-not a lot. I love a complicated mystery, love story. The DaVinci Codes was certainly a pleasure for me. I didn't want it to end. I won't finish a book if I am not feeling satisfied. WOW: As a writer do you have days when the words won't flow? If so, what do you do? I don't write much on those days. I have plenty else to do. I'll reread what I have written so far to kind of fall in love with it again. Then I can usually get started with the next part or fix up what I have. Either way it is a good use of my creative time. WOW: What one piece of advice can you share with our readers? I would say that if you like to write, write. Don't think about anyone else in your decision to write. If you get a sense of fulfillment than someone else will too. WOW: As we come to a close, what would you like to add? Any upcoming publications or links for our readers? Current projects we should watch for? Well, of course, my newest book, THE TRUTH, I'm Ten, I'm Smart and I Know Everything, which is my first work of fiction. THE TRUTH ... how do we carry the truth from girlhood to adulthood? That priceless ‘truth’ that we all recognize as kids? How do we walk over that bridge into growing up, carrying the Truth? How do we recognize THE TRUTH in our children and help them carry their most precious selves into adulthood? What if we could pass the gift of our early wisdom and brilliance along to our children, giving them permission to hold on to their most precious jewels? THE TRUTH, I'm Ten, I'm Smart and I Know Everything, is a delightful, humorous secret diary, written by a girl who is 10-11 years of age. She is wise and yet so innocent. She makes us cry and laugh and remember ourselves. Behind this very easy read is the psychological message to the women reading THE TRUTH that they can and must recapture the fire and passion of their girlhoods not only for themselves to flourish and be happy, but for the next generation to also have the gifts of good emotional and spiritual health. Women love the book and so do girls. Women find it a pure delight-a hot fudge sundae with a secret message inside and no weight gain, while girls recognize themselves and finally feel totally understood! I'm planning a special release of this book for girls between 10-14 for November of 2007. Information will be available on my blog, The Enchanted Self and of course on my website. This book is the beginning of a fiction series. In the next book, which I have almost finished, the girl grows from 12 to 14 and is beset by a whole new set of adventures, emotions and growing pains. Meanwhile, I keep busy with my radio shows. I have two. One is THE ENCHANTED SELF magazine on Ladybuglive and the other is Happiness for Women Only. Thanks Barbara and good luck with all you do. WOW! needs you! If you've every thought you'd like to write an article for WOW!, here's your chance. We try to respond within two months but sometimes it takes a bit longer so please be patient. Read a couple back issues to get the feel for the WOW! style. If you aren't sure about an idea, query me. Tell me about your idea and I'll get back with you. Q: What are some of the established/credible, editors/publishers you would recommend to consider publishing my collection of self-published short stories? A: Note that many publishers do not accept books that have already been self published, which is another darned barrier we have to get around. I don't have a pat answer for your question; I'd have to do the same research you would do: go to bookstores and see who is publishing your type of book, check with Writer's Market or http://www.writersmarket.com/ to get guidelines and addresses, etc. I offer submission services for a fee, where I do the research, copying, envelope-making, and mailing, but the process is far too time consuming to offer for free. Sorry, but it's a job you'll either have to do yourself or pay someone to do. It's a hat most writers don't want to wear, but it's a hat we must wear if we want to get past the gatekeepers and get published traditionally. A friend of mine has recently set up a Web site (http://www.sfumag.com/) where writers of science fiction (mainly) can post their work for others to read and provide feedback. The site also features articles and other information. It amounts to an on-line literary magazine where work can be shared and critiqued in its developmental stages. For quite some time, I have been planning a site based on a similar concept but targeted more at mainstream fiction and nonfiction. I had hoped to launch it this spring. If I post a short story on sfumag.com, does it still qualify as "unpublished" for purposes of submission to traditional print media or literary contests? On one hand, it's posted for all the world to see. On the other, it's presented to a specific audience for the primary purpose of critique. I routinely print and share hard copies of my work, as well as e-mail files, distributing them to others for the same purpose, something that, to my knowledge, is not considered by anyone to be publication. So where is the line, if one exists, beyond which work is considered to be published? I don't want to spoil my chance of seeing a piece of my work traditionally published because I posted it on a Web site. Furthermore, when I set up my own site, I want others to be able to use it without fear of the work losing its "publication virginity." Can you offer some advice in this area? A: Publication on the Internet is still considered publication in most circles. Making a few copies for your friends? Well, that’s just making a few copies for your friends. The difference is clear; you control distribution of the copies to your friends, but the Internet is available to the public, and is therefore public-ation. Q: How can I find a literary agent? A: Finding an agent isn't easy, and the process and methods are too detailed for me to completely answer here, although I’ll give it a little stab. First the book has to be better than 99% of all the other manuscripts written during the year. Only 1% of fiction manuscripts get accepted for publication. It's simply not easy to find an agent and sell a book. If it were easy, anyone could do it. Entire books have been written on how to find an agent, but the best method is to get a referral from a client of an agent. That is, if you know someone who has a good agent, try to get that person to refer you to his or her agent. Your next bet is to go to writers conferences where literary agents are scheduling evaluations with writers. Make an appointment and be sure to submit your best work. Sometimes those connections click and result in a contract with an agent. Last of all, search for agents who are taking on clients by using www.WritersMarket.com, and be sure to follow each agent's guidelines, for they all differ. Never forget to include a self-addressed, stamped envelope with any mailed submission, even if you don’t want your manuscript back. It’s a common courtesy, and without it you may not hear anything back. Sometimes even a brief bit of feedback included in a rejection can make a big difference and help you revise the manuscript enough to appeal to the next agent. Do you have a question for Bobbie Christmas, book doctor? For a personal response, e-mail Bobbie Christmas at Bobbie@zebraeditor.com. WOW! chatted with runner up Jill Buckwald about her contest entry, Honker Brooks. Jill, congrats on being runner up. Honker Brooks was such a cute story. What inspired it? Just imagination and the prompt or something from real life? It really was just the prompt and some creative thinking. I actually started to write a second story, but chose this one because of the humor. WOW: Humor is always great in a story, I think. How did you react when you got the news you were the winner? I was ecstatic! This was the first contest I had ever entered, and the first piece that anyone besides my husband, children and instructor from Long Ridge, had ever seen. I must admit, I think I checked the website a hundred times after I got the news that I was in the top ten. WOW: How cool to be your first contest win. (I bet there will be many more.) What about your family...were they excited for you? Absolutely! This is my first published piece! My husband has been singing my praises all week long. WOW: Your husband sounds like a great guy. It's so nice when they support you and your writing. What kinds of things inspire you to write? Most of the pieces I have written are for children. My own children, and the ones I look after during the day inspire my writing. Watching them interact and play, I come up with so many new ideas. I also look to my own childhood and pull out my most fond memories. WOW: If there was one bit of advice you could pass on to other aspiring writers, what would it be? Keep going. I am new to this whole writing business, but the one thing I know for sure is that I am passionate about it. You have to keep trying if you want to succeed. WOW: That's such great advice. What projects are you working on now and is there anything we should be looking for soon? I am still working on my course through Long Ridge, and have just decided I have enough market research to send out one or two of my stories. I hope to have some publishing news in the future! WOW: Good luck with those submissions. I'm sure you'll be sharing good news soon. Be sure to let us know so we can share your good news with everyone. 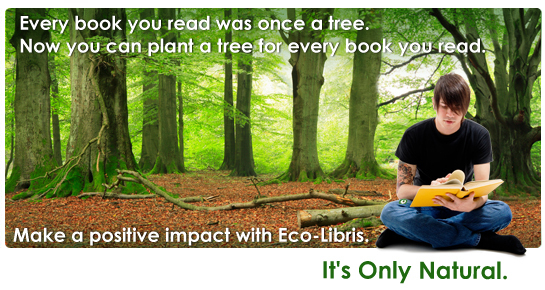 About 20 Million trees are cut down annually for virgin paper used for the production of books sold in the U.S. alone. What we want to do is to raise awareness to the destructive environmental impacts of using paper for the production of books and provide people with an affordable and easy way to do something about it. The process itself is fairly simple - upon entering our website (http://www.ecolibris.net/), customers decide how many books they would like to balance out. They then pay for it online and a tree is planted for each of these books. Customers also receive a sticker made of recycled paper for every book they balance out saying "One Tree Planted for this Book." They can later display these stickers on their books' sleeves. In the few days that we have been online we already had people from all over the world balancing out their books and planting trees. The feedback so far is very encouraging. We have partnered with three highly respected US and UK registered non-profit organizations that work in collaboration with local communities in developing countries to plant the trees. These trees are planted in high ecological and sustainable standards in Latin America and Africa, where deforestation is a crucial problem, and planting trees not only helps to fight climate change and conserve soil and water, but also benefits many local people, for whom these trees offer many benefits and an opportunity for a better future. Eventually and hopefully sooner than later, books will be made from recycled paper or other eco-friendly materials and logging for paper will stop. On that day we'll happily move on to a new cause, but until then we think every book reader should take action. We also don't forget the responsibility of the book publishing industry to the current situation and we intend to become a strong voice in a call for change towards printing books in an eco-friendly manner. Please check out our website (http://www.ecolibris.net) and let me know what you think. You can also check our news release. Like any new green business we try to spread the word about us to all the greenies, book lovers, and everyone in between. If you could feature us at your site that really would be great! I'll be happy to answer any questions you may have. Thanks! Way to go Eco-Libris! Once I checked out their site, I "planted" trees without a shovel or even a drop of sweat. I just donated a little money to the cause. What a novel idea! No pun intended. Happy Saturday, fellow bloggers and blogesses! One of our wonderful readers stated in another blog entry that she would like to read more tips on what not to do when submitting to editors or publishers. I thought this idea was brilliant and was just about to write something sparkling on the subject when I came across this excerpt from a newsletter I received from Writers’ Relief, Inc.
It’s a witty list of pointers on “How To Be An Annoying Author”. I thought it was a hilarious way to talk about the things you should avoid doing when preparing your work to submit or in dealing with editors (I’m sure you editors out there will appreciate this…). Enjoy your weekend and happy writing, all. As a writer, you have many strategies at your disposal for upping your nuisance factor, but the following are a few surefire ways to get a good, solid reputation as a seriously annoying author! Submit work based on a theme that has been overused. Editors hate to see fresh, original work! Make good use of clichés and tired metaphors and similes, and submit characters that are flat and one dimensional. Be sure that your cover or query letter is filled with grammatical errors and the liberal use of White-Out (coffee stains are great as well). Address it: "To Whom it May Concern." As an author, you are far too busy with the creative process of writing to research the appropriate editor’s name. Submit nonfiction without fact-checking and without citing references. Make up erroneous data or claim others’ research as your own. You can also make up words and new sentence constructions. If your work contains URLs that are defunct, that’s okay too. That’s what copy editors are for. Don’t return your editor’s phone calls or E-mails. Or answer them at your leisure, possibly a week or so later. Complain vociferously, through repeated phone calls and/or E-mails, if any aspect of the publishing process moves too slowly or otherwise offends you. Put your editor’s phone number on speed dial. Take the lead and lend the publicity department a helping hand. Forge ahead and set up book signings and speaking engagements on your own. If they interfere with the publisher’s plan, throw a small fit and threaten to sue. Of course, if you are unable to adhere to these simple rules, you run the risk of getting a reputation as a serious, professional writer. And that would be tragic. Blogging is an interesting activity. I mean, we toss out these posts and hope someone will read them. And the only way we know if our posts have touched someone or, are even being read is if a comment is left behind. I'm guilty of reading blogs and not commenting on them too. I'm not sure why I don't. Maybe I figure my comments aren't worth reading. Maybe I'm not one of the "regular" commenters and don't feel welcome. Or maybe, I'm just too busy at the time. Whatever the reason, I know I should comment, at least some of the time. Today, I make a vow to comment more often on the blogs I read. I'll let the blogger know how much I appreciate their post. I encourage you to do the same. What would you like to see more of on the WOW! blog? Writing Craft Articles by Authors? Whatever it is, let us know. You don't even have to leave your name:-) We want to provide what you need, what you want to read, and what will help you on the path to publication. 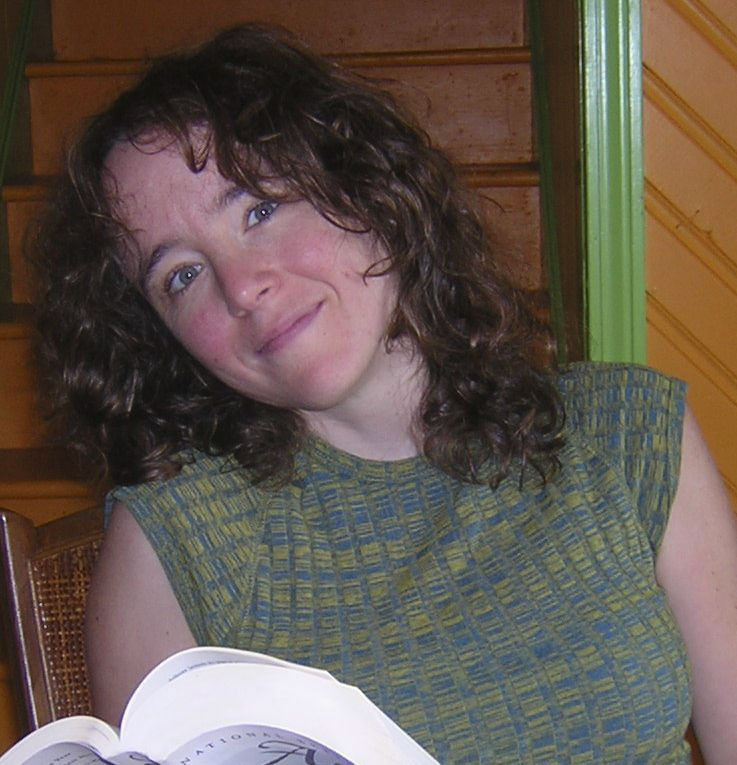 Interview with Allie Boniface, Author of "One Night in Boston"
It's always exciting when a WOW! Alumni Member publishes her first book. I can't help but feel proud-- not that we had anything to do with the process, but it still gives me the chills... as it should! No matter how you look at it, it's an accomplishment and a milestone in a writer's life, and one worth celebration. 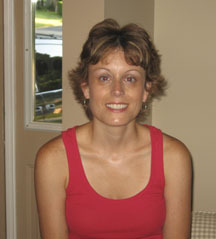 Allie Boniface is an award winning high school English teacher who lives in the northern NYC suburbs with her husband. 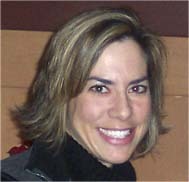 A member of both the national and local chapters of Romance Writers of America, she has been writing fiction for approximately five years. Her debut novel, One Night in Boston, was recently released by Samhain Publishing. This contemporary romance novel tells the story of Maggie and Jack, former lovers who meet up after ten years to discover that strong feelings still lie between them. Join us as we chat with Allie about her labor of love, and discover what motivated her to write One Night in Boston. WOW: Congratulations Allie on the launch of your first novel, One Night in Boston. We’re always proud when one of the WOW! Alumni makes it in the publishing world. How do you feel? Allie: I’m just thrilled! I started writing seriously, with an eye on publication, about five years ago. One Night in Boston is actually my fourth completed novel but the first one I sold. WOW: I remember you were working on a few other novels when I spoke with you last, but let's start by going back to your journey that brought you here. When did you first start writing One Night in Boston? And what caused the spark? Allie: I came up with the idea for a “24 hour novel” about 3 years ago, and I began writing One Night In Boston about 18 months ago. Considering the popularity of the television show “24,” I thought it might be neat to write a novel that followed the same kind of structure. So, One Night In Boston takes place over a single day and night, with 24 hours unfolding over 24 chapters. WOW: That's a great premise. So why did you choose one night to tell this particular story? Allie: Most novels, especially love stories, take place over a much longer period of time. I wanted to explore a different kind of love story: the way that, sometimes, people can change each other’s lives in a matter of hours. WOW: That must have been hard, because as fiction writers, we know that there is always a taboo toward writing flashbacks. Sometimes it’s a battle between knowing when to show, and when to narrate. How did you manage to familiarize your protagonist’s past with the reader? Allie: That was a challenge with this novel, definitely. Because the primary action takes place in just one night, it was necessary for me to rely somewhat on flashback/characters’ memories to give the reader information about the past. I tried to keep those flashbacks to a minimum and, wherever possible, use dialogue to fill in the blanks. WOW: Allie, please give our readers a synopsis of One Night in Boston. Allie: Maggie Doyle is about to lose everything she owns unless she can find her estranged stepbrother and ask him for help. Her journey takes her to a charity ball in downtown Boston, where she runs into Jack Major, her college sweetheart and only love of her life. Our hero and heroine have less than twenty-four hours to deal with the renewed attraction between them, as well as the past secrets that drove them apart. WOW: That plot sounds delicious! And a must-read. As you were writing, did you have a preeminent feeling that this novel would be published? Allie: Actually, no. I queried a number of agents before looking at small publishers. While many of the agents were interested in the premise of the novel, they found issues with some of the early plotline. I went back to the drawing board many times with this novel. WOW: As you went back to the drawing board, were there any times where you found yourself at a crossroads in plot choice? If so, how did you solve them? Allie: Absolutely. In fact, early in the query process, I received a detailed letter from a top agent who liked the structure and characters but had some problems with the conflicts driving the story forward. After taking her feedback to heart, I went back to my outline. I created an entirely new secondary character and changed the heroine’s goals and motivation significantly. It was a lot of work! WOW: It sounds like it! But a good editor is wonderful to help move a story forward. So, what would you say the hardest part of writing this novel was for you? Allie: Realizing that I had to make major changes in the storyline after I’d completed the first draft (at about 80K words!). WOW: I hear that! And I'm sure besides the technical aspects, there were other challenges. Last time I spoke with you, I remember you saying that you’re a high school English teacher. How did you find time to balance your career with your writing schedule? Allie: That’s a tough one! During the school year, I try to spend at least one hour each night writing. I’m not always able to, since I’m grading students’ papers many nights as well, but I try. I also spend about an hour each morning updating my blog or working on promotional contacts. I don’t have any children of my own, which gives me more time than many working mothers who are also writers. My husband is very supportive of my efforts, which also helps immensely! WOW: It's always fantastic to have support. Last time you freelanced for us you wrote a wonderful article for our Freelancer’s Corner, “Character Trouble? Try Man’s Best Friend.” So, how much did your pets play a roll in helping you write One Night in Boston? Allie: My two cats constantly come in and check on me while I’m writing, making sure to remind me when it’s time to take a break and feed them! WOW: (laughs) My cat, Noodle, agrees! So tell us, why did you choose Samhain Publishing for your debut novel? Allie: At first, I followed the traditional route of submitting this manuscript to agents and editors. However, the response was lukewarm, so I did some research into electronic publishers. Although Samhain is a relatively new e-publisher, it is run by Crissy Brashear, who was with Ellora’s Cave for many years. Samhain has quickly developed a reputation as one of the top small e-publishers in the industry, and I was very happy when they offered me a contract. Another advantage is that all their full-length novels are first released in e-book format and then in print approximately ten months later. I decided that if I was going to choose a small electronic publisher, I still wanted the opportunity to be published in paperback. WOW: That's a great benefit. I also heard that they won an award from Preditors and Editors. How was the experience working with them? Allie: It’s been terrific, very professional. My cover artist and editor are both top-notch and spent a lot of time working with me until we were all happy with the end product. Samhain has a great marketing department as well. WOW: That attention is super. In your opinion, what are the benefits of going with a small press? Allie: Oh, definitely the personal attention you receive from everyone there, from the owner to the editors to the cover artists to the marketing director. Everyone is totally accessible at any time. WOW: That's wonderful. So, what’s your promotional schedule for One Night in Boston like? 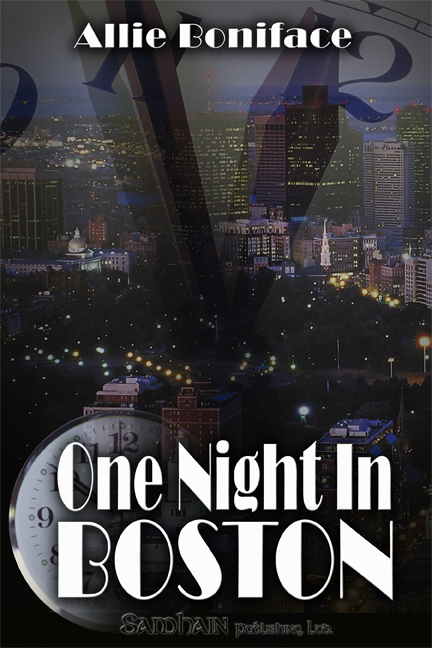 Allie: Since One Night In Boston is currently available in e-book format only, I’ve been concentrating most of my promo efforts in online forums (like this one!). I’ll be doing interviews and giveaways in a few different blogs and forums over the next few weeks, too (readers can find out more by checking my blog). Once the book is released in print, I’ll be focusing on in-person appearances as well. WOW: So Allie, where can readers pick up a copy? 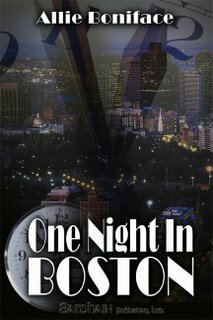 Allie: Currently, One Night In Boston is available as a download at www.mybookstoreandmore.com. Don’t be frightened off by the idea of reading an e-book! While it might not be as convenient as throwing a paperback into your beach bag, it’s easy to download the file to your computer and read a chapter on your lunch break or during your commute (my brother-in-law is reading One Night in Boston on his daily train ride). There are many handheld e-book readers on the market now as well, which makes it even easier to slip the entire novel right into your pocket! WOW: Super advice! Our editor, Sue Donckels, just did a wonderful must-have article about e-book readers. This is definitely a growing trend in reading. I remember a while ago, you'd talked about a romance novel you were working on called Paradise, USA. Are you still working on that, or what are you working on now? Allie: Ah, thanks for asking! That novel was renamed Lost in Paradise and has since been picked up by The Wild Rose Press, another small e-publisher. It is currently in the editing process and will be released in e-book format sometime this fall, with a print release approximately six months later. My current WIP is another “24 hour novel” titled One Night in Memphis, which I hope to submit to my editor at Samhain later this summer. WOW: How exciting! I can easily see this becoming a series of "One Nights" in different towns! Please keep us informed on all your adventures, we love success stories. So, do you have any closing comments or advice for our readers? Allie: Publishing your first work, whether it’s a full-length novel or a brief article, can take a long time and be an involved process. Don’t get discouraged by it. Understand that anything worthwhile takes time and effort. I see too many new writers give up after they aren’t successfully published in their first year of writing. Remember that the craft of writing can take a lifetime to learn! WOW: Very smart advice Allie. Thank you for sharing your publishing journey with WOW! We wish you success in all your projects, and can't wait to get our hands on One Night in Boston! Allie will be featuring a giveaway of One Night in Boston at the debut of www.longandshortreviews.com on August 27, 2007! We had a chance to chat with spring contest runner up, Laura Seltz. Read ahead for an energized interview! WOW: Laura, kudos to you for placing as one of our Runners Up! How do you feel? Laura: I’m thrilled, particularly to be on a list with such fine writers and in a publication I admire. WOW: Thanks for your kind words! These compliments encourage us to push forward. Could you tell us what encouraged the idea behind “Marriage of the Living Dead”? Laura: Fun was my first inspiration. I know that writing is a demanding, painstaking craft, but it also can be joyful. But the story has its message as it pokes fun at the way we can play dead in our relationships. We can become the ‘living dead’ so easily, especially if we stop paying attention to each other. WOW: That’s an interesting take on relationships. It's so true, too. In your bio you mentioned that you’ve been teaching for seventeen years. Does teaching play a role in your creative thinking? Laura: Of course! Young people are among the most authentic writers I know because their writing comes directly from their experiences. My job as a teacher is to see the possibilities in each piece of writing, so the writer can learn to craft words in a way that will reach an audience. I find that inspiring. WOW: I’d bet you’ve inspired many of your students to excel. Have you found inspiration from other books or authors you could recommend? Laura: Can I have ten pages to answer this one? I love the classics, but recently my joy has come from writers who can delight me. Elizabeth Peters, Carl Hiaasen, Christopher Moore, and Douglass Adams are among my favorites. Hiaasen in particular has a way of cutting to issues he’s passionate about with style and humor. You hardly know that you’ve been reading political satire until you find yourself joining the Sierra Club a few days after reading one of his books. WOW: Delight is definitely important, and I’m glad you pointed that out. Do you have specific and delightful long-term goals for your writing career? Laura: Like most writers, to make a living being published regularly as a respected professional. If I merely get the chance to delight a few people, that’s enough, too. WOW: We also learned in your bio that you’re currently working on the second novel in Maggie Cohen: Vampire Police series. Could you tell us a little about the book and/or about the first one in the series? Laura: Thanks for the question. I’ll shamelessly plug my novel. The cynical, wry Maggie brings me joy. She’s not exactly enthusiastic about being a vampire. She became a vampire the usual way, on a blind date with a guy with very bad breath who turned very weird, and she hates drinking blood. But she has good values. Her motto is: “Do the next right thing.” So she does. In the first book, Maggie, like many women, has to stop hiding from her own power. A crime-spree hits her community when her friend’s manuscript is stolen. (It’s a manuscript for a vampire novel. Do you sense a theme here?) Then blood goes missing from the vampire-infested ER at the local hospital, and a truck carrying papaya flavored blood is hijacked from Boris’s Blood Factory (subsidiary of Eternal Rest Mortuary Services). Oh, and Maggie’s friend Michelle sets her up on a blind date. Maggie considers this the worst crime of all. Of course, romance develops with that blind date and also with a handsome human detective. In the end, she has to stop a psychic killer from destroying her community. I give the poor vamp a lot to contend with, but she’s tough. I found great joy in creating Maggie’s world, with its tabby cat vampire king, Piper (modeled after my sister’s imperious cat), vampire dogs, and a vampire sage who holds court at the Quick Mart. It’s a world turned on its end, for here the vampires are generally the good guys, while the humans struggle with morality. WOW: Your novel’s world sounds intriguing. Please send us an announcement went it comes out. Since you’re writing about the living dead, where do you find inspiration for your subjects and characters? Laura: I see the living dead walking about me all the time; sometimes I probably fall into the role quite nicely myself. It’s just habit. When we stop finding joy in our existence, in each other, and in our world, I think we become lifeless. But living can also be delightfully ridiculous. I know I do something completely silly at least once a day. It’s my humanity break. WOW: “Humanity break”…now, that sounds refreshing and re-motivating. Could you end on some motivating words to our audience of writers? Laura: Find delight in life. That means finding joy in your own peculiar, powerful, sometimes ridiculous being. Find joy in others. Dare to have fun writing. I think we become authentic when we stop taking ourselves so seriously. Then the important messages can come through. We get all sorts of advice about our craft: it’s hard work, we must revise constantly, we should expect a project to be more challenging than we envision, we’ve got to write every day, etc. It’s great advice, and as a professional, I follow it. But I want to add that even the most grueling tasks can be joyful if we approach them with a wink and a smile. WOW: You have an attitude everyone should aspire to duplicate. What a great take on life and views. Thanks for sharing a little of yourself with us. Good luck with your writing!